If you want to know where all the crew members hang out then you'll want to take a look here. The crew bar is just one of many places which are popular on a Carnival cruise ship. When on a cruise you’ll spend most of your time in the public areas and I bet you’ve always wondered what the crew areas look like. 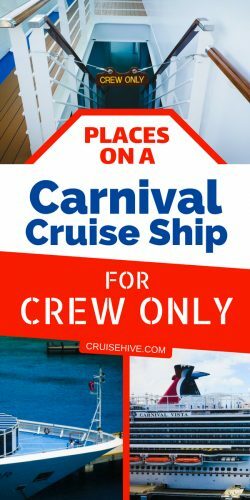 In this article, I’m going to show you several places onboard a Carnival cruise ship which you might have never seen before, you’ll even be surprised at what’s hidden away behind the doors and walkways all over the ship. A lot of the areas you’re not familiar with is the “Crew Only” areas, connected staircases and corridors where the crew can access just about any part of the ship without being seen. There’s a whole new world down below which is a hive of activity day and night. Time away from the guests is needed where the crew doesn’t always have to smile, they can feel free to relax with their fellow onboard mates from all over the world. 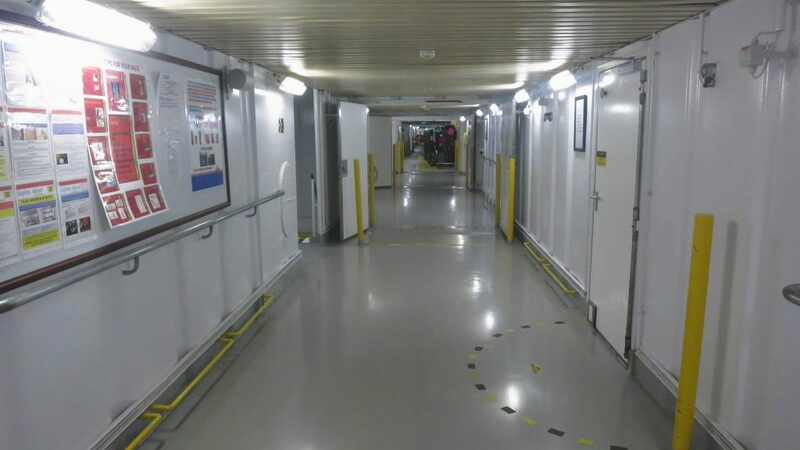 Let’s start with the main corridor which is not just an essential area for the crew but also the entire cruise ship. Known as the I-95, it is one large corridor which goes along almost the entire length of the ship. From here the crew can gain access to different staircases, elevators and get to their cabins. The I-96 is always busy with crew members heading off to work and for those who have some free time to chat with their friends. When guests embark and disembark the cruise the I-95 takes center stage, all the luggage is stored in the corridor and in a space called the Marshaling Area, from there housekeeping can get to the luggage to deliver to passengers staterooms. The same happens when the voyage comes to an end, the luggage is taken off in pallets and then transferred to the terminal. Love Carnival Cruise Line? Then you should take a look at these 10 items. Parts of the I-95 are also used when in port, guests will often get a glimpse as they go on and off the gangway. There is more possibility of checking out the corridor when tendering too. I-95 will usually be on deck zero but does depend on the ship’s design. 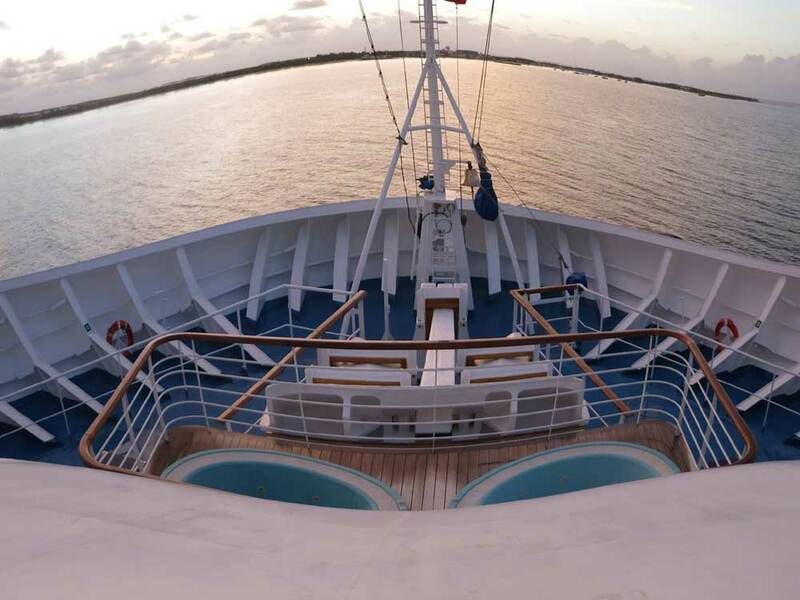 You might have wondered what that area is with the jacuzzis or small pool down below near the ship’s bow. This is an area where the crew can head on out for some fresh air. When off duty they can relax in the pools as much as they want and enjoy the stunning ocean views. When the vessel is departing its homeport the crew can often be seen getting the last cell phone signals with phone calls back home. At night, the deck can be full of activity with fellow workers socializing and enjoying their limited free time. It does depend on the class of ship where this area is located, on Conquest class ships it is deck 4 forward, well known in the crew community! 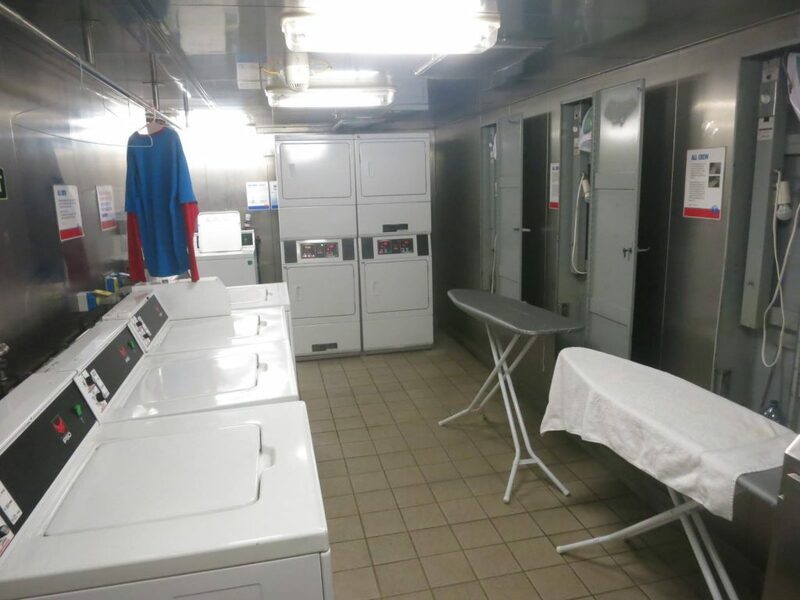 There are guests laundry rooms scattered around the stateroom decks but the crew is not usually allowed to use them. Hidden down below is the crew laundry, a place which is busy all the time and uses strict safety procedures to stop any fires from breaking out. There are at least a dozen or so drying and washing machine’s along with irons so crew members can look their best for the guests. Crew training is extremely important to cruise lines and often ships will feature their very own center. At the training center, there will be two dedicated employees who will help all those working onboard to develop their personal skills. These could include learning a new language or using computer learning programs for their future. The staff who work in the training center will also be involved with welcoming new team members to the ship and training in hospitality. The guest gym which is usually located at the top of the vessel is out of bounds for most of the crew. 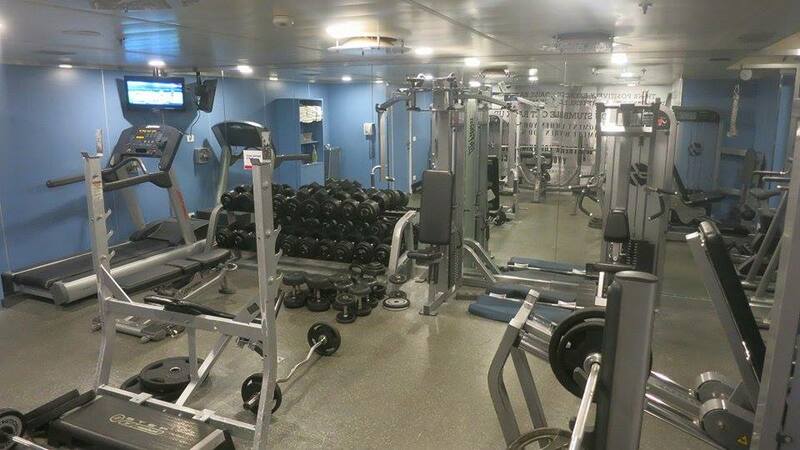 The cruise line will always offer a gym facility just for crew near the bottom of the ship. When off duty members can use the gym as much as they like but they won;t get the stunning ocean views which the passengers get. Provided in the Crew Gym will be weights, benches and workout machines but they may not be as good as the ones guests can use. 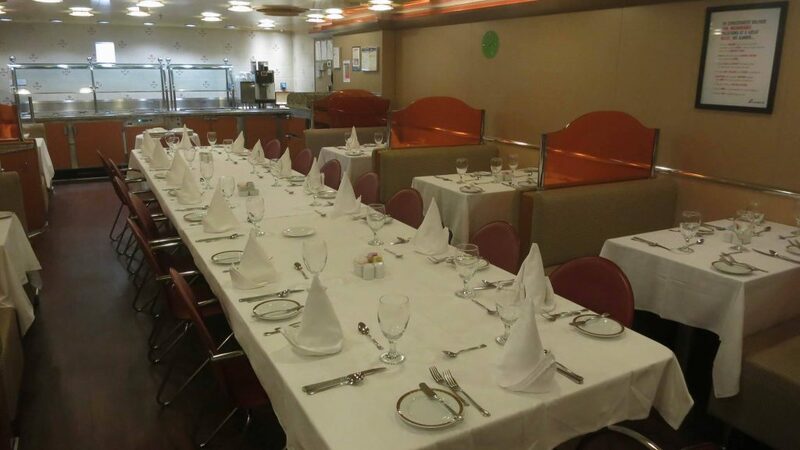 The Crew Mess is probably one of the most important areas onboard for the crew. It is like a large dining hall where everyone can get their breakfast, lunch, dinner and even midnight snack. It isn’t always open with food but often if the crew are hungry they can enjoy some pastry snacks along with tea, coffee, and juices. In the crew mess, there will usually be a large TV where members can come together and watch sports. Even in the later hours of the night, this area can be full of activity as the crew head on down to eat after long days shift. One of the best times to eat in the mess is at midnight, it is when food not used in the guest dining rooms head on down to the crew, this could include the extremely iconic Carnival Chocolate Melting Cake! It can be the best time to go to the mess and a time when fellow workers can come together and discuss their day. 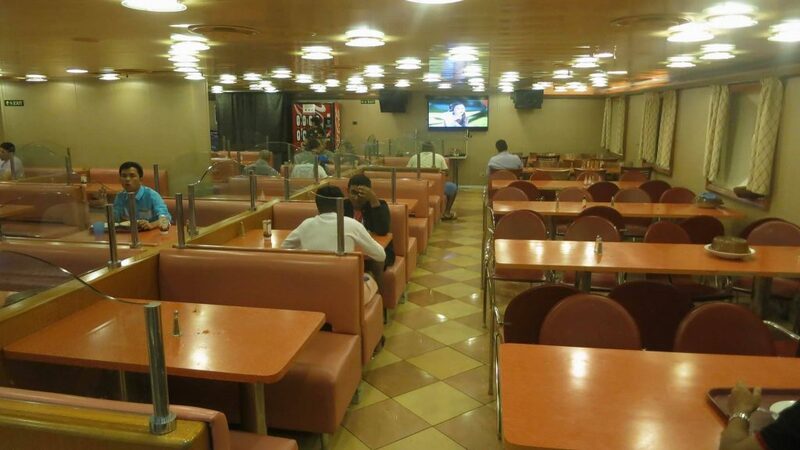 In today’s advanced world there isn’t a huge need for an internet cafe onboard a cruise ship. 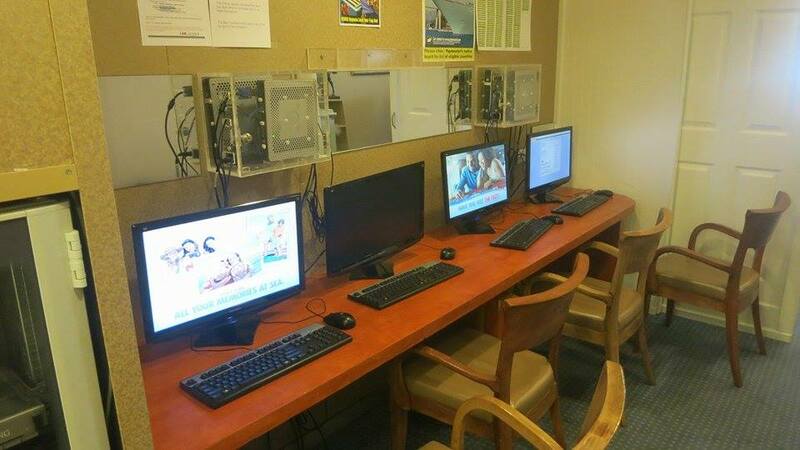 Carnival Cruise Line still does provide a room near the crew bar where members can use a computer and get online. For a fee, crew members can check their email and browse the web. This is also the place where the crew wifi is maintained throughout the vessel. The best signal can often be found in the internet cafe. There is another mess room for other types of workers, they are called staff members and will include those working in the Tax-free shops, Casino, Spa, Guest Services desk, Camp Ocean and more. This will be the place where new dining room members can learn and train before joining the guest dining rooms. Staff members can order food during breakfast, lunch, and dinner which is the only time when the staff mess is open. 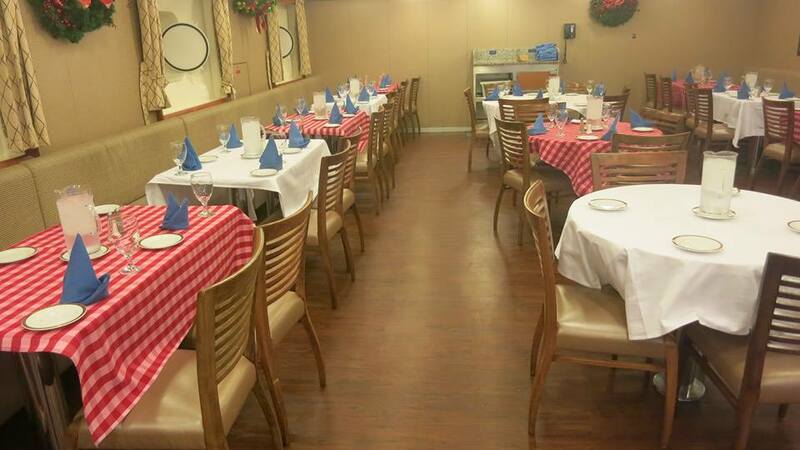 There are another two places onboard including the Captains Dining Room and the Officers Dining Room. These two separate rooms are often next to each other and only the officers or captain can use them. There will be trainee dining room staff who will serve them just like they would regular guests. This area I’ve never managed to get in when it is being used but pretty sure they can order just about anything they want! You have to remember that the crew lives on the ship for at least six months at a time. During this contract, they will need a haircut, they can’t always get off in port and find a barber. The Crew Barber is the man to see for a really good cut. The barber works onboard too so cutting fellow crew members hair can only be done in his free time (in the evening). The barbershop will be a small room with one chair, mirror, and a small TV. It will be located in one of the crew corridors in the middle of where all the cabins are. 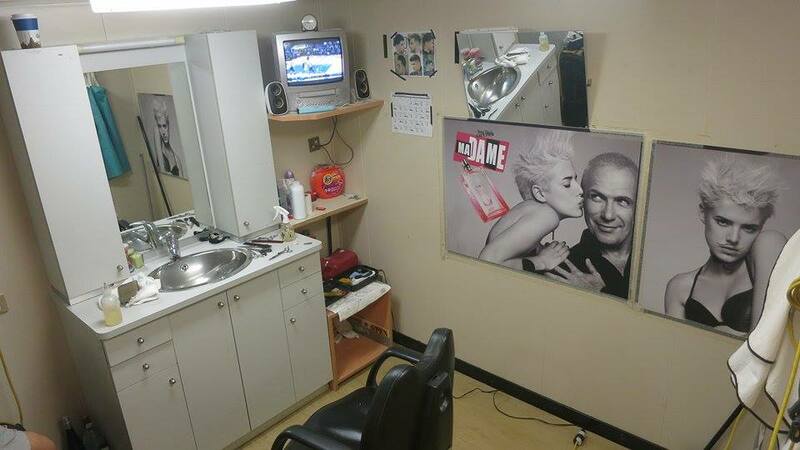 The barber will usually charge around $10 and can be a great source of extra income while onboard. We’ve saved the most important until last! 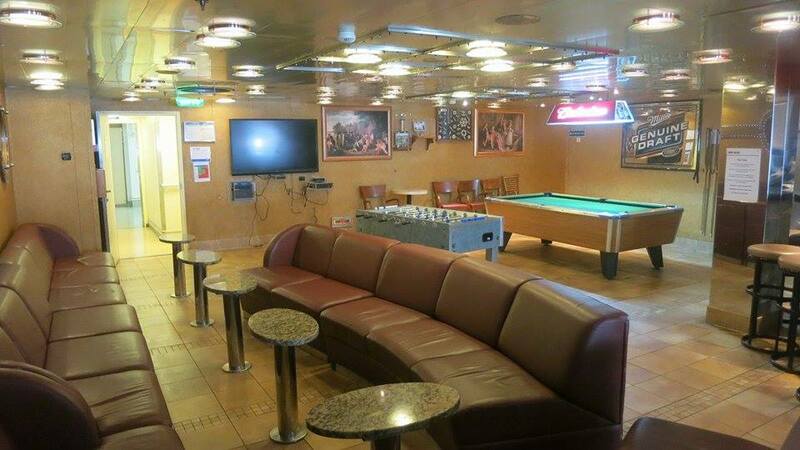 The legendary Crew Bar, a place where all the action happens and the center to crew life while onboard. 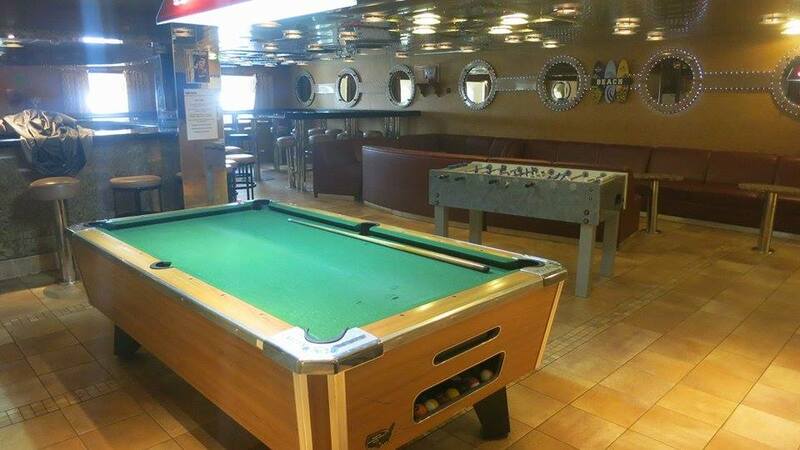 Located on deck zero just off the I-95 on the bigger ships, the bar will open early evening and during this time any crew member can come in and enjoy a drink or two. Prices are very cheap, I’m not going to tell you how much because it is so cheap you won’t like it! Snacks can also be purchased from the bar including popcorn and chocolate bars. Around 9-10 in the evening the Crew bar will start to get really busy, the bartenders will be running around like crazy trying to keep everyone happy. The busiest day is the last day of the cruise, the reason for this is each cruise many crew members will have completed their contracts. To say bye to friends they’ll often meet in the bar for some last drinks together. Also in the Crew bar, many events and activities will be held, these could include a poker night, karaoke, quiz night, bingo and even a foosball competition. Without the Crew Bar life onboard would not be so good. Never ask a crew member how the bar was last night! What happens in the crew bar stays in the crew bar!